When it comes to all things weddings, Style Me Pretty founder and editor Abby Larson is an expert—and that’s putting it mildly. Brides across the globe visit her site in preparation for their big day, gaining access to amazing décor inspiration, top vendors, and DIY tips and tricks. Lucky for us, Larson took some time away from scouring the Internet for the latest in trends to kick off our wedding hub with an exclusive Q&A. Keep reading for her thoughts on the season’s key bridal beauty looks, the best advice she’s ever received, and more. What is the best wedding style advice you’ve ever received? Stay true to yourself and what's most important. Only incorporating those elements that speak to your personality and relationship will make for the most beautiful wedding. Trends are fun, but they're just that: trends. What was your something new, something borrowed, and something blue? Something new: diamond studs from my husband-to-be. Something borrowed: grandmother's diamond ring. What are your three favorite weddings from the last six months? The wintery romance of this wedding had me at first sighting of that candlelit table. I love this wedding for the sheer beauty of it all, but even more so because they had a popcorn toss as the bride and groom made their way back down the aisle. This Paris destination wedding is my dream come true, it’s so wildly romantic. What are some foolproof outfit ideas for attendees going to a day wedding? A good rule of thumb is to keep it lighter in color and fabric. For example, a blush colored fit and flare dress in airy tulle and a linen suit for the gentlemen. What are great gift ideas for a guest on a budget? Our go-to gift is a great bottle of wine or champagne with the couple's names and wedding date written on the bottle. Head to Domaine for more out-of-the-box wedding gift ideas. What is your new favorite wedding DIY project? This wedding DIY blew my mind. It’s so gorgeous, and really makes for a major wow moment. What are the major trends for spring and summer brides? Pastels are so huge right now, and girly accents like lace and applique. 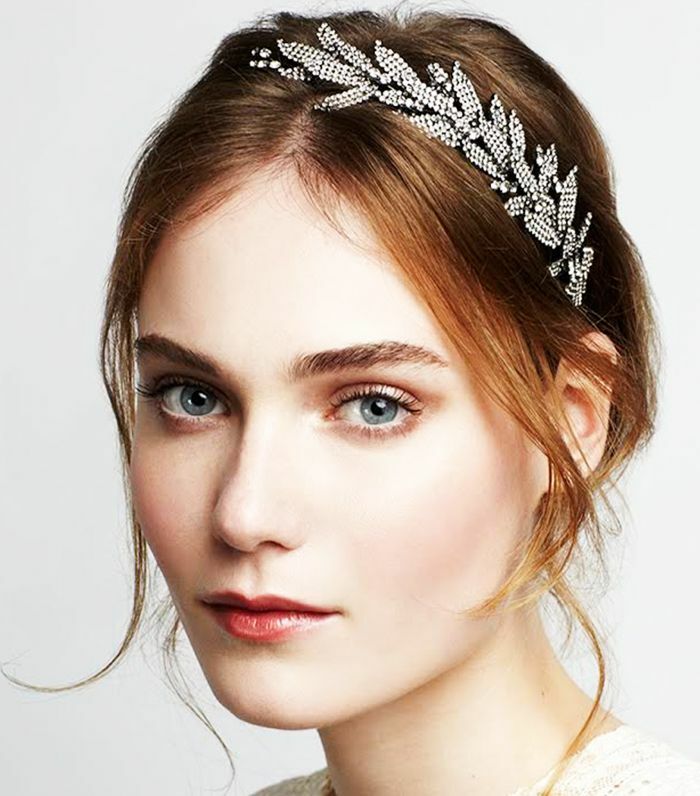 What are the bridal accessory trends this season? Capes and shrugs are having a major moment, everything from lace to tulle. Click here for the some of the season’s best bridal baubles, bags, and more. What are the popular hair and nail trends for brides right now? A perfectly coifed topknot and braids in all shapes and forms are making an appearance, and for nails, we love the pure white trend. It’s modern without being over the top. Check out Byrdie.com for more wedding hair and nail inspiration. Last year it was all about the rustic barn wedding, is that still a décor trend this year? Are there any other popular décor themes this season? We've really seen a return to classic details, but with a fresh, modern twist. Think: a classic white wedding paired with ghost chairs instead of chivari styles and lots of patterns being incorporated into décor details. From runners to gowns, pretty prints are popping up everywhere.